I mentioned before that I bought the coffee Anlene concentrate calcium from there. Yeah there's the ride we have after going to the cooking class. The same ride we used from hotel to the cooking class. Our ride can take up to 12 passengers including the driver 13. 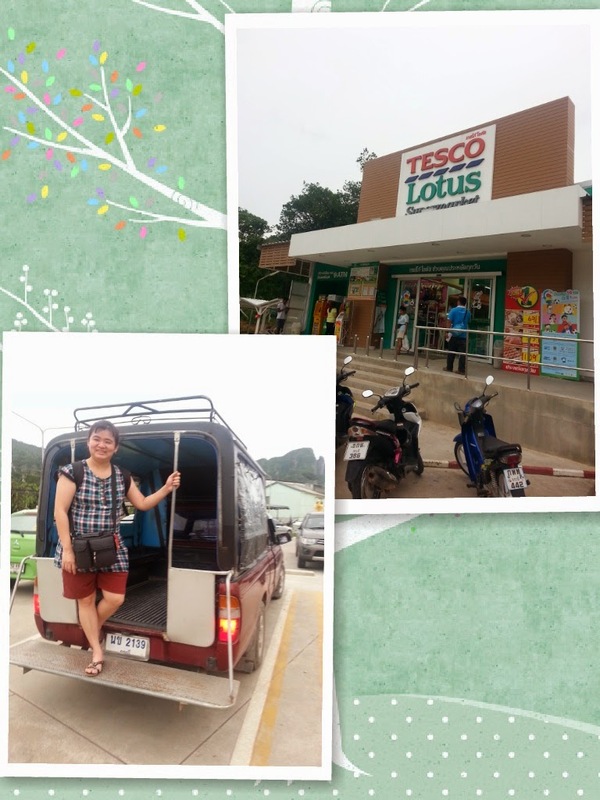 Tesco Lotus is where I saw some friends purchase the Pantene shampoo, but I didn't purchase any. I bought some inhaler that we can purchase at local stores Guardian or Watsons, here selling RM3.80 but over there RM1.80 means 180 Baht. Over there having more flavour and other brands of inhaler which cost 220Baht mean RM2.20. I bought one which I really like peppermint smell. I checked the Sunsilk shampoo, it's only 480ml. I didn't purchase any as I still have some from last purchase in Hatyai vacation. They have many snacks there but I don't read Thai so I didn't purchase any.